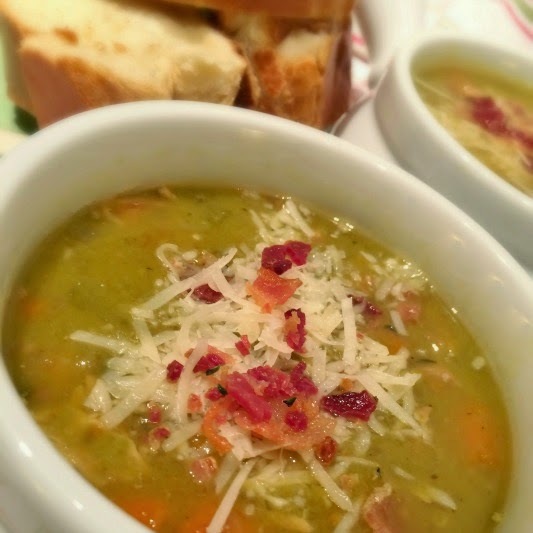 SPLIT PEA & HAM SOUP from scratch! (Easy crock pot recipe). Has it been cold and wintery where you live? A big pot of hot soup is a great remedy against the cold. Around this time of year, I love to make soup in my crock pot. What a great invention! You walk in at the end of the day, the house smells wonderful, and there's your meal, ready on the counter! 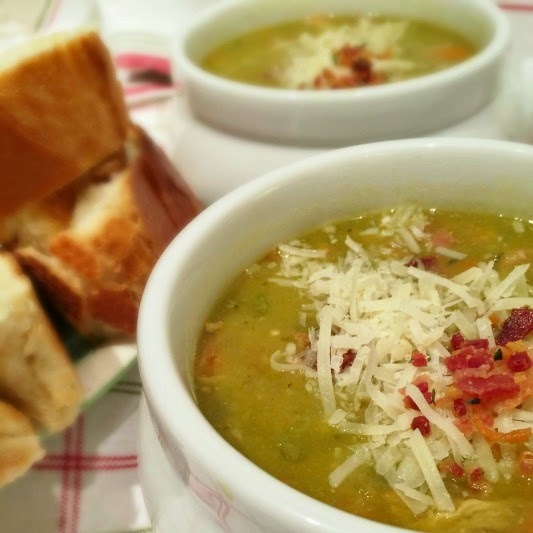 I use my crock pot to cook chili, re-fried beans, roasts, and all sorts of things, but in the case of today's recipe: Split Pea and Ham Soup. This soup is loaded with savory, creamy goodness. Served with warm bread, it makes a delicious meal that's not only healthful, but frugal, too. 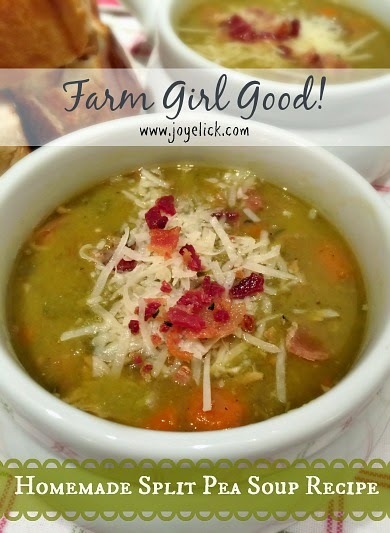 It costs very little to make this large batch of soup (enough to feed a family of four at least three times)! 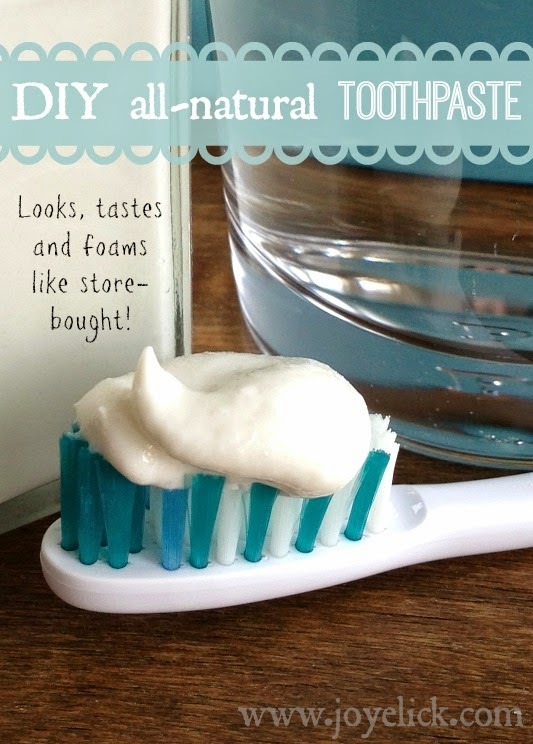 But what I like most about this recipe, is that it's something you can make from supplies that inhabit most any pantry. If you're like me, you enjoy that good self-reliant feeling you get when you cook from scratch. You know what I mean: You reach into your pantry, pull out a few simple ingredients, and cook up something hearty and nutritious for your family--without running to the store for a single thing. 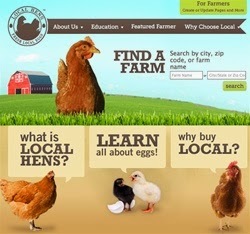 Self-sufficiency. I love that! So what do you say? Want to join me in the kitchen to make some soup? Then grab your apron and let's get started! You'll need a 7-quart Crock-Pot for this recipe, but it's possible to use smaller size slow-cookers by cutting the recipe down, depending on the size of your crock pot. Step 1: Cook and drain the bacon. Allow to cool, then crumble into bits. Cover and refrigerate until you're ready to serve the soup. Step 2: Cube, chop, slice and dice the necessary ingredients and place them in the crock pot. Step 3: Add in the dried split peas and seasonings. Cover with the chicken broth and water. Step 4: Gently stir to combine, then cover and cook on LOW for about 8 hours, or on HIGH for about 6 hours. Step 5: The soup is done when the vegetables are tender. When done, insert a whisk and gently stir with small swirling movements to cream the soup together. Top each serving with a sprinkling of shredded Parmesan cheese and crumbled bacon bits. Serve with warm bread. Makes approximately 16 1-1/2 cup servings. 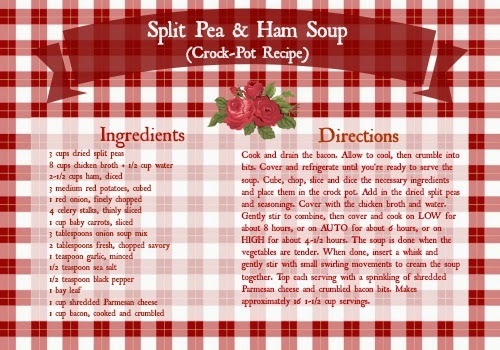 CLICK HERE to download your free Split Pea and Ham Soup recipe card. Let's chat. What to you like to make in your crock pot? Do you have a favorite recipe? Let us know in the comments below. I really wanted a new soup recipe, as I'm sick of eating the same old chicken soup again and again. I'll try it out without the bacon, and hopefully it'll taste as good as this one.